Considers the role of prayer in parish transformation, the co-responsibility of lay people in making disciples, the impact of a discipleship approach to youth ministry and how one parish made the journey to intentional discipleship. When they met, fell in love, and married in 1858, their lives seemed pretty ordinary. They worked hard - Louis a watchmaker, Zelie established her own business making Pont d’Alencon lace - and went on to have nine children. Five survived, all of whom became nuns and one of whom is now known as St. Thérèse of Lisieux, perhaps the most popular saint in recent history. Remembering Fr. Benedict J. Groeschel, C.F.R. An inspiring, moving, and sometimes humorous biography that invites readers to immerse themselves in the fascinating details of a remarkable life, one animated by faith and devoted to love. Brings together Pope Francis’ first interviews, drawing each of us into fascinating conversations that reveal his love for people and his trust in the mercy of a loving God, who is always near. Through the study of Catholic tradition, the lives of the saints, and ordinary people, you’ll begin to understand how the message of inward healing is also a message that Catholics are empowered to take outward to the world. In his second encyclical Pope Francis follows and expands on Catholic teaching on mankind’s responsibility to care for God’s creation, and protect and care for the most vulnerable. This letter builds on the teachings of previous popes including Pope Emeritus Benedict XVI and Pope Saint John Paul II. “The best book I know that explains - and doesn’t explain away - the truly difficult texts of scripture. I can’t recommend this book enough!” - Ralph Martin, S.T.D. Pope Francis encourages us to read the Gospels and even to carry a small version with us, so we can take moments during the day to grow closer to Christ. This pocket-sized collection of the Gospels has the bonus of including the Psalms to aid in daily prayer and meditation. New Revised Standard Version Catholic Edition. Using brief meditations from Pope Francis followed by questions for reflection this book offers insight into how you can create an oasis of Joyful love within your own family. The story of Fr. Stanley Rother who made the ultimate sacrifice for his faith and was martyred at the age of 46 in Guatemala after devoting himself from 1968 to his parishioner’s during the violent civil war. 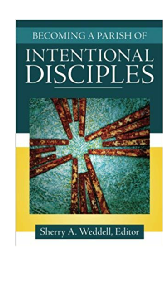 Points out why now is the right time to emphasize the call of discipleship, the challenges involved in making “necessary adaptations”, catechetical dynamics that distinguish this book from past approaches, and practices that can help all of us keep heart. Cardinal Wuerl realises that many people have either forgotten how to pray, feel overwhelmed and don’t pray at all, or need encouragement to go deeper in prayer. This easy-to-read book will help you find ways to pray that will make a difference in your life - today and every day.